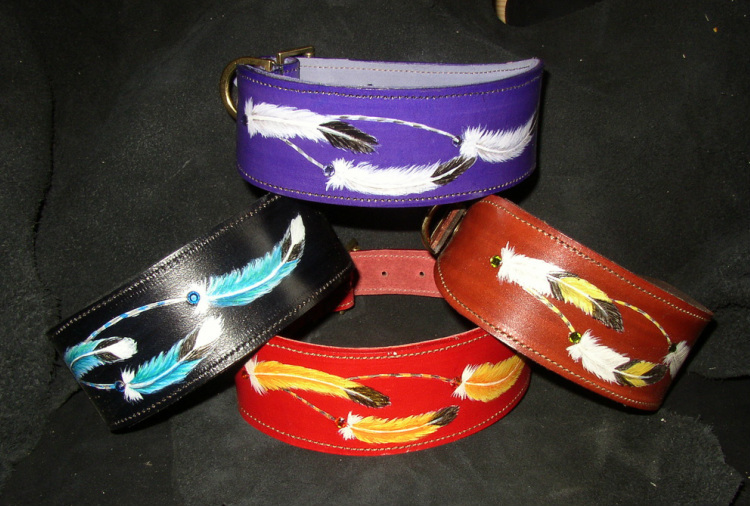 We are a small family firm that have been in the leatherworking business for 35 years. Please click on the headings above to go to the section that you want and don't hesitate to contact us directly with any questions or requests that you might have. We have new designs developing all the time so visit us regularly to see the latest ! Please note that all our prices are now in euros. This is due to the complications of the pound going up and down and makes the prices more stable for us. We can then continue to source the best leather at prices that are repeatable to give you a consistent product at the best price possible. This does not make any difference to your payments by paypal, simply that you will be billed in your own currency and we will receive the payment in euros. If you are ordering more than one item and wish to combine shipping then please contact us direct before ordering, then we can make a reduction for you.